October 31, 2018, 11:40 a.m.
New YouGov Custom research indicates that three quarters of British adults do not think that a meal replacement drink is a healthy eating habit. 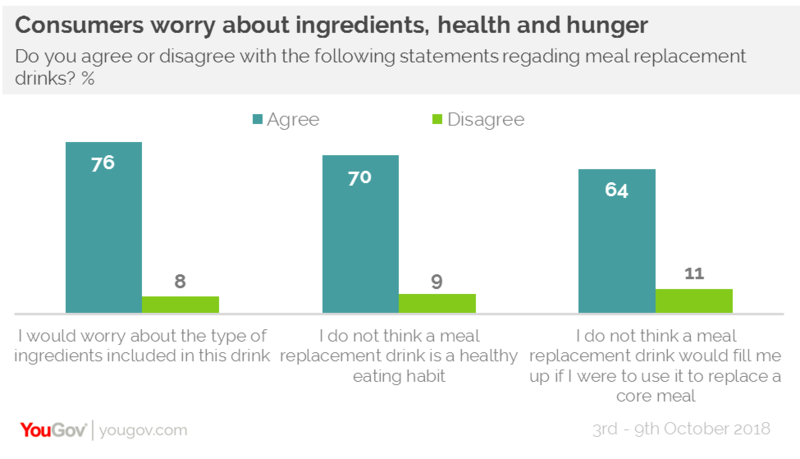 To coincide with the UK launch of ‘Soylent’ – a ‘meal replacement drink marketed at professionals to replace food voids at inconvenient times’ – YouGov research has assessed how keen Britons are for a product like this. Our data suggests that less than one in ten (9%) of consumers would consider purchasing a meal replacement drink. Of those who would consider it, a third (36%) would consume it at least once a day, rising to 85% consuming at least once a week. 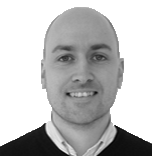 However, once told the price (£39.99 for 12 bottles), only a third (35%) of all considerers would continue to be interested in the product. What might explain this reluctance? YouGov’s study shows that 74% of Britons do not believe a meal replacement drink is a healthy eating habit. Women are even more likely to think this (80%). Aside from the price, nervousness regarding the products ingredients and the ability to satisfy hunger are of core concern. Close to two-thirds (64%) questioned whether a meal replacement drink would fill them up if they were to have it instead of a core meal. Interestingly, almost half (48%) believe that this would be fine as a snack, but not as a main meal. Taste is also something people are sceptical of. Just over half (53%) expected the product to not taste good, against just 11% that thought it would. Brand recognition is also important, 53% said that they would only drink something like this from a trusted or established company. Clearly, there’s work to do be done from meal replacement drinks companies in terms of their messaging and communication, particularly given the infancy of such a product category. Our research clearly underlines the reservations that consumers have.